Two couples appear to live in marital bliss until cracks begin to appear in both seemingly steady marriages. The film asks the question 'How well do any of us really know each other' and explores the ideas of love, lust, and family relationships. 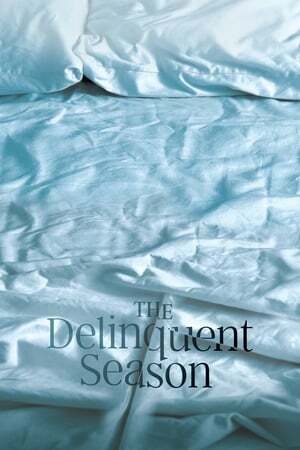 The Delinquent Season tells the story of two married couples living in Dublin; Jim (Cillian Murphy) and Danielle (Eva Birthistle), and Chris (Andrew Scott) and Yvonne (Catherine Walker). As the foursome are having dinner one evening, an argument breaks out between Chris and Yvonne, with Chris behaving in a worryingly irrational manner. A few days later, Chris confides in Jim as to why he's been having mood swings of late, swearing Jim to secrecy. Over the next few weeks, as Chris's mood swings become physically aggressive, Yvonne turns to Jim for support, and soon, they are in the midst of an affair. Jim, however, continues to keep Chris's secret. The film treats well the topic of middle-class malaise and ennui, deftly shifting the audience's sympathy multiple times throughout. However, in his feature directorial debut, Mark O'Rowe (best known as the writer of John Crowley's Intermission and Rufus Norris's Broken) misses a great opportunity for a really powerful dÃ©nouement, letting the narrative drag on for 10 minutes or so too long. Still though, it's well acted, and extremely realistic, attaining an almost documentarian objectivity at times. Well worth checking out.